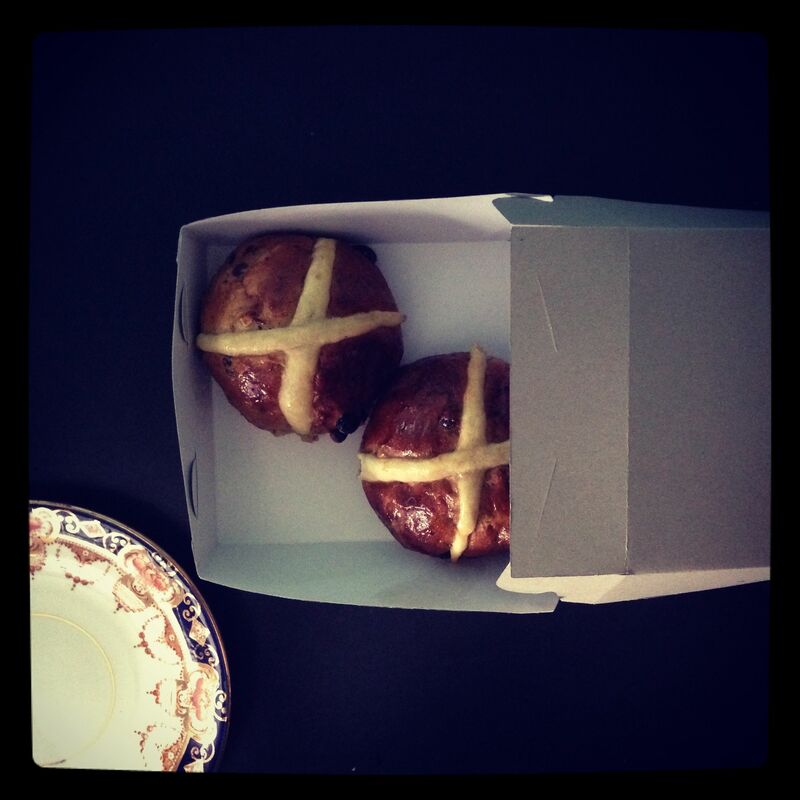 Of course my dad’s are the best, but while in Melbourne I’ve been following local Hot Cross Bun news. On Tuesday, The Age voted Tivoli Road Bakery as Melbourne’s number one hot cross bun baker for 2014. I promptly decided to make a field trip, only to find they had sold out – by 9am that morning! I was advised to phone in advance to place a reservation. So this morning, I finally got to sample these winning buns. My verdict? Tastes quite a lot like “home” actually, dense sourdough buns, with enough fruit, orange peel, and spice. Tivoli Road will be open over the Easter weekend for hot cross bun purchasing. (Pre-ordering, is of course advised). Their baked goods are also available at Fairfield Farmers Market, Abbotsford Convent Slowfood Market, and the Flour Market.